T.S. Eliot wrote that “April is the cruelest month,” but for us at HP, the cruelest month of 2015 was indisputably October. Here in SC, where most of us on the site are based, we were hit with some of the worst flooding ever recorded from October 2-5 last year. To be honest, it really made me thankful for the little things. But it took some catching up to get back to them, and we’re still playing catch up. So I would like to preface this article by apologizing to all of the great manufacturers who helped us get our hands on such great products to write about throughout 2015; a lot of reviews are in the works and on the way. To our readers: I am excited about the things we have in the works for 2016. Without further adieu . . . here’s the first installment of our SHOT 2016 coverage. 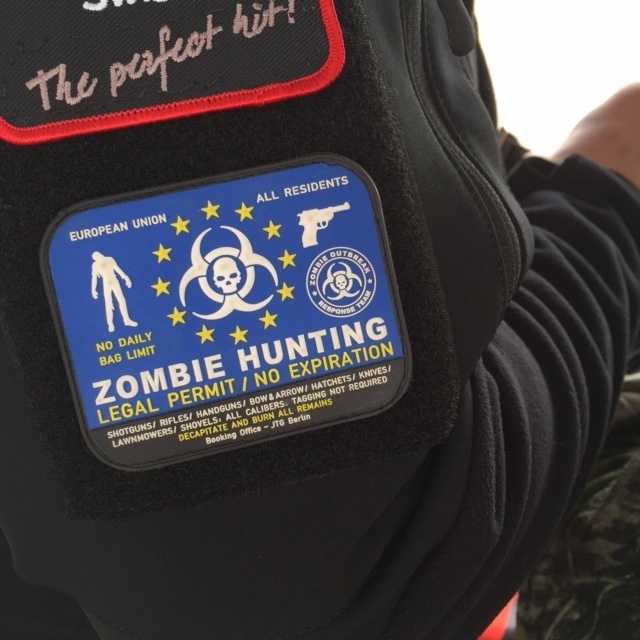 When we stepped off of the bus to start hiking around at SHOT Show Industry Day at the Range 2016, we had a lot going for us immediately. For one thing, the weather was probably the most perfect I’ve ever seen it out in Boulder City (and it’s a beautiful range, too). Beyond that, it was apparent right off the bat that this year was going to be a year with a lot of exciting products hitting the market. 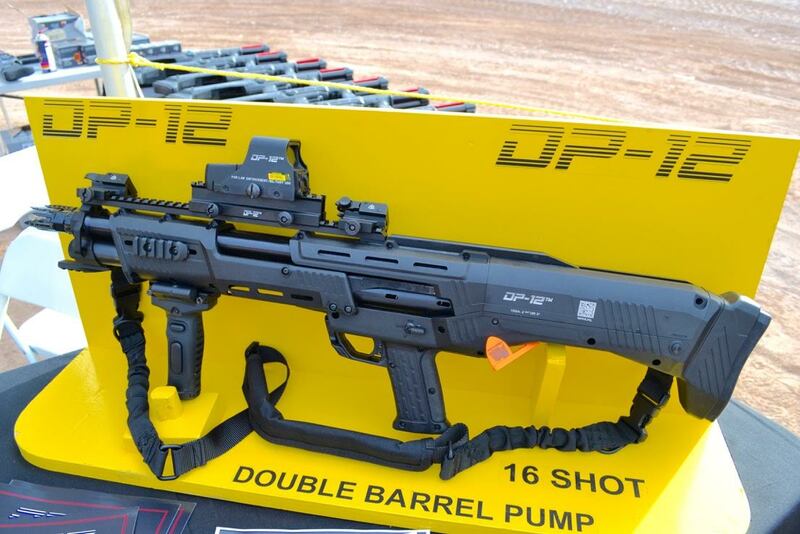 We started the day off by shooting a new pump gun from Standard Manufacturing called the DP12. Retailing at about $1400, this 16-shot 12 gauge allows two trigger pulls per pump, and has a nice feel to it. 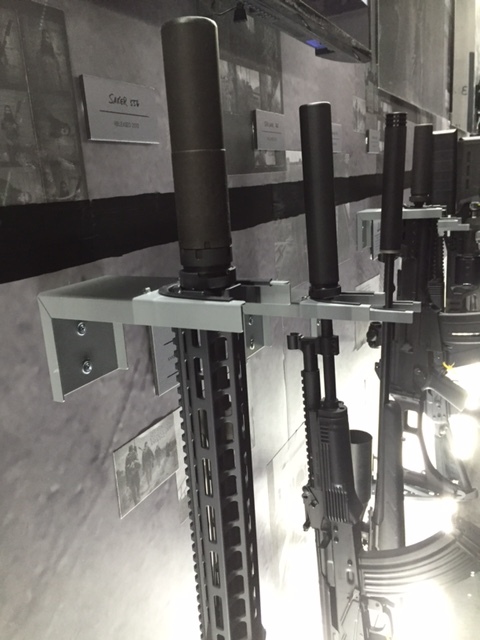 The only problem was that the demo gun—unlike the one pictured with the optic (at right) —didn’t have any optic or sights and the rail on top was tough to get any sort of comfortable sight picture. It wasn’t a problem hitting the target a few yards away, but if you were ever going to run it in any kind of serious application I would suggest some iron sights on the rail at the very least. Next up was the Geissele booth. Naturally, Bill Geissele and crew were hard at work repping some of the best triggers in the industry. But something that caught our attention this year came out of the ALG side of the operation: a new magwell kit for Gen3 and Gen4 Glock pistols that’s compatible with factory baseplates and provides a great opening for competitive shooting. I mean seriously, check it out. 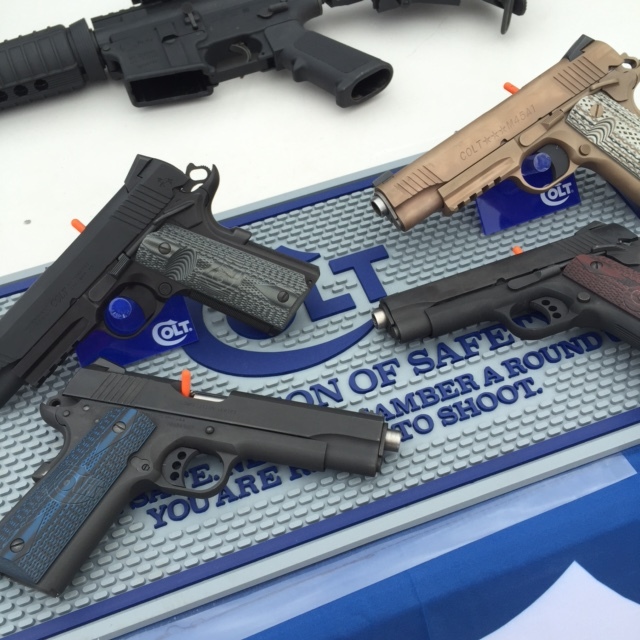 At the Colt booth, we were introduced to the new Colt Competition 9m m (also available in a .45). There are a number of notable things about it. Initially, the fact that the gun is a 9mm but doesn’t use a ramped barrel caught my eye, but what was most impressive was that the gun spoke for itself. We fired more than 60 rounds through it total and I watched other people fire a lot more than that while I wasn’t shooting. I didn’t see a failure of any kind. My one real complaint about it was that it’s a competition model meant to be run in competitive shooting sports, but it lacked a magwell. 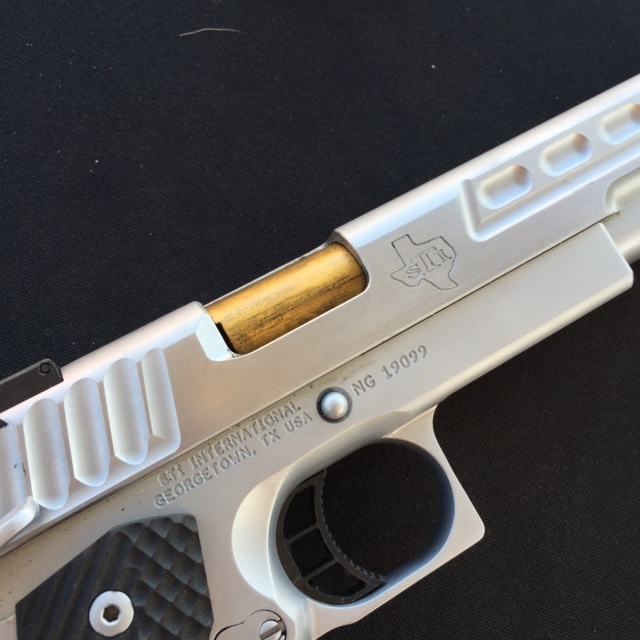 At $899, a 9mm 1911 that works well and that is spec’d out like this certainly has potential in the market, but to really pull away from something like the Range Officer a magwell might have tipped the scales just a little more in the Colt’s favor. Overall, though, the features were great for the price: G10 grips, blue fiber optic sight, and the first use industry-wide of the new Novak adjustable rear—with the SAME dovetail spec as the original Novak rear sights. 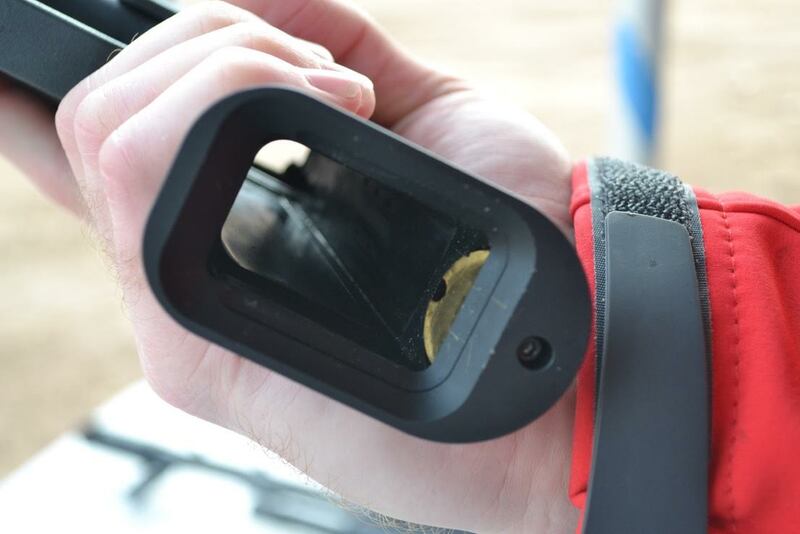 The new adjustable sight from Novak’s has the same footprint as the traditional rear sights. 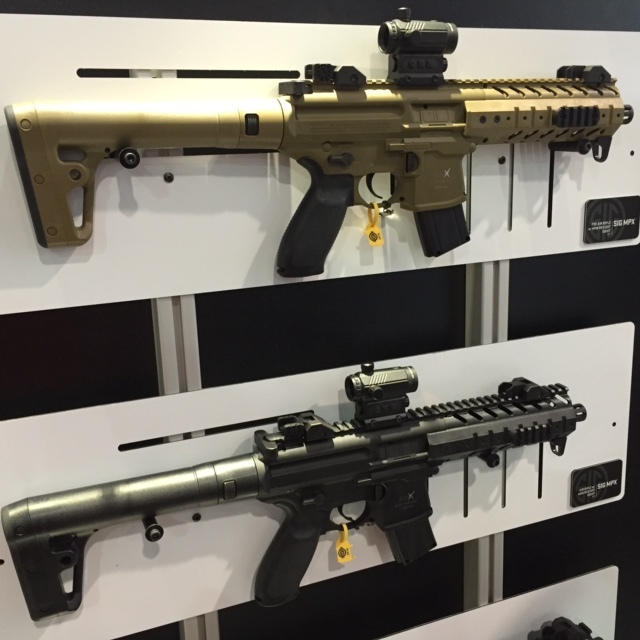 Also of note at Colt was that the M45A1 has a new PVD finish that looks a lot better than the original Cerakote. The color is really nice in person and I would be much more inclined to pick one up now. Lastly, Ken Hackathorn had a hand in developing what Colt is calling the Combat Unit Rail Gun. 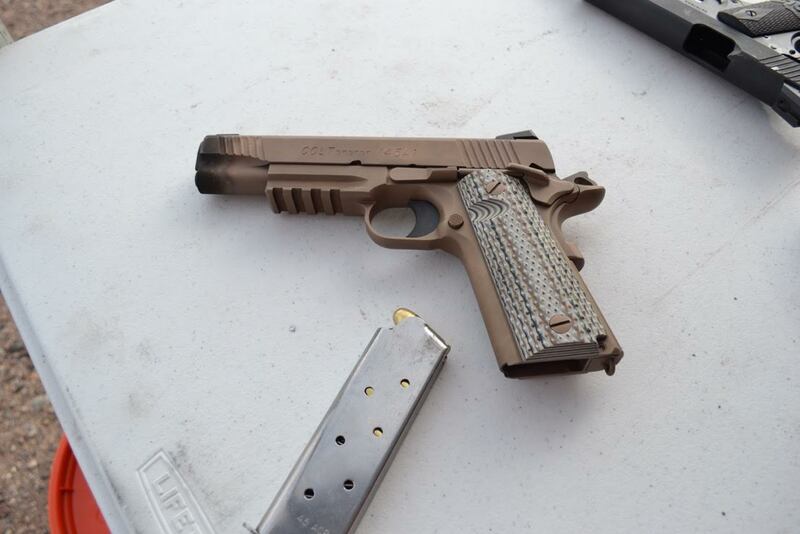 The Combat Unit RG retails at about $1500, but is the first non-custom shop rail gun to feature 25-LPI checkering. The checkering is a must for me on any gun I really plan to shoot competitively or for training purposes, so I was really glad to see that. There might be one of these in my nightstand’s future. HK had the VP40 out at the range, and this was my first time shooting one of them. 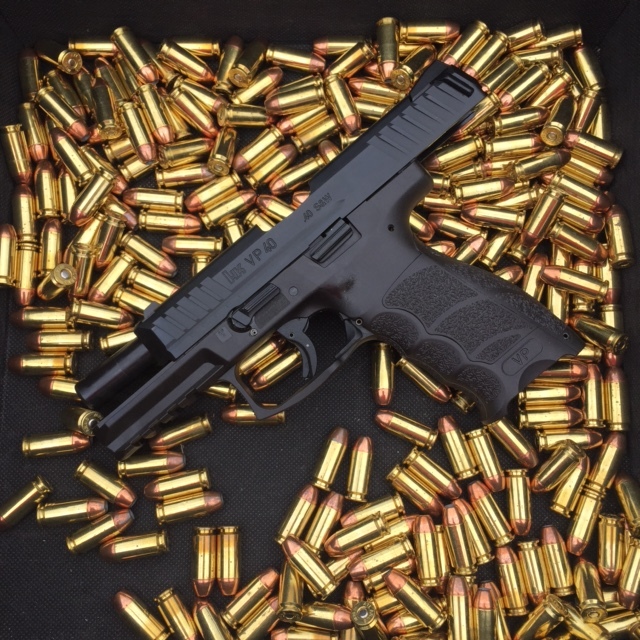 It handles well—as you would expect if you’re familiar with the VP9. 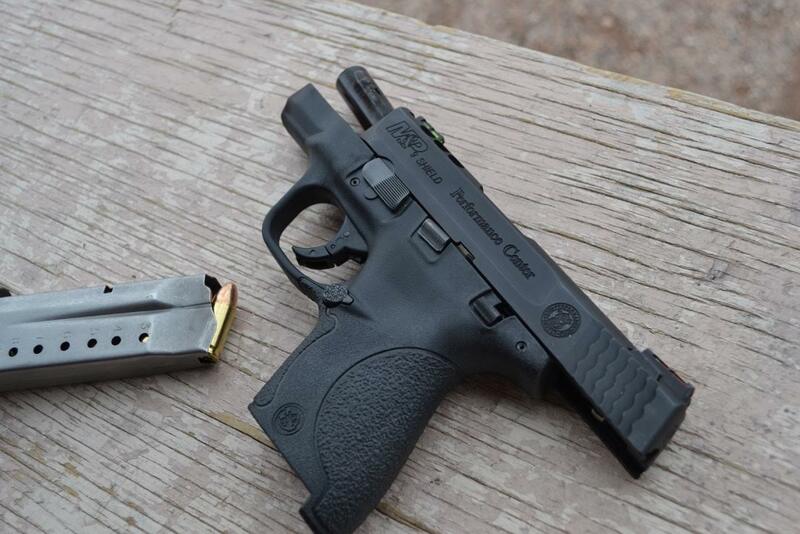 It also had less of the .40-cal “snap” than USP40’s I’ve shot in the past, so I like what HK did with this one. It’s been out a while now, and it works. Not much else to say here. I remain a fan of the VP9, and the VP40 is nice as well, but I am really waiting on a VP45! Maybe this summer??? Smith and Wesson unveiled something that I’m actually pretty excited about: a Performance Center version of the Shield 9mm. 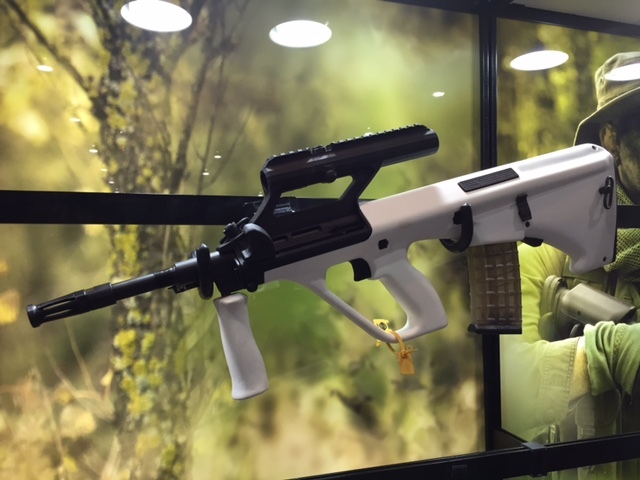 Featuring a fiber optic sight setup, a ported barrel, and a MUCH better trigger than a stock Shield, the Shield PC will retail at just $519, which m eans sub-500 street prices should start popping up later in the year. Considering the Glock 43 MSRP is $529, this one might be a real winner. It was easy to keep on target and we were ringing the steel at 80 yards without any problems. This is 100% on our review list for later this year. 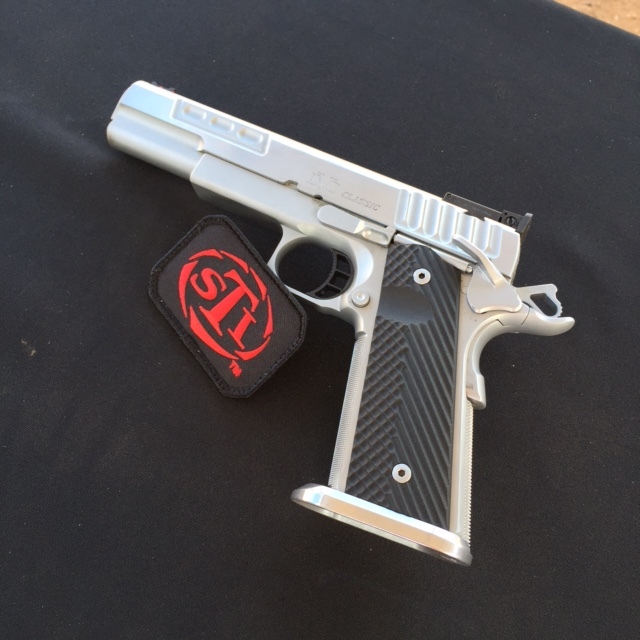 Also at Smith and Wesson was a very nice new .22 LR pistol called the SW22 Victory. 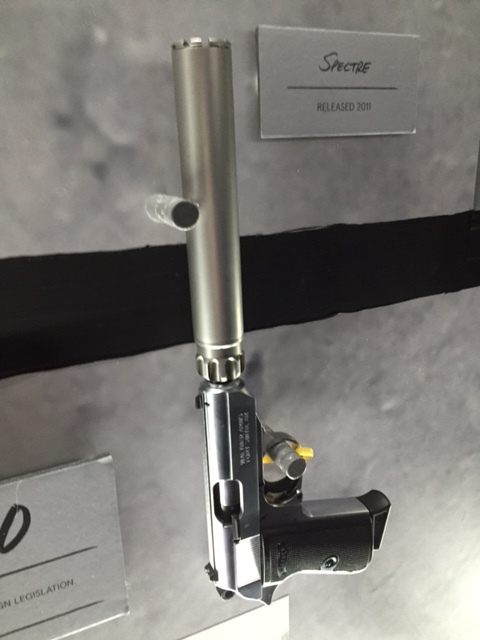 All stainless construction and what’s being dubbed the “easy swap” barrel combine to make this well worth consideration for a rimfire plinker. The roughly 3.5 lb trigger pull that felt amazing didn’t hurt either. 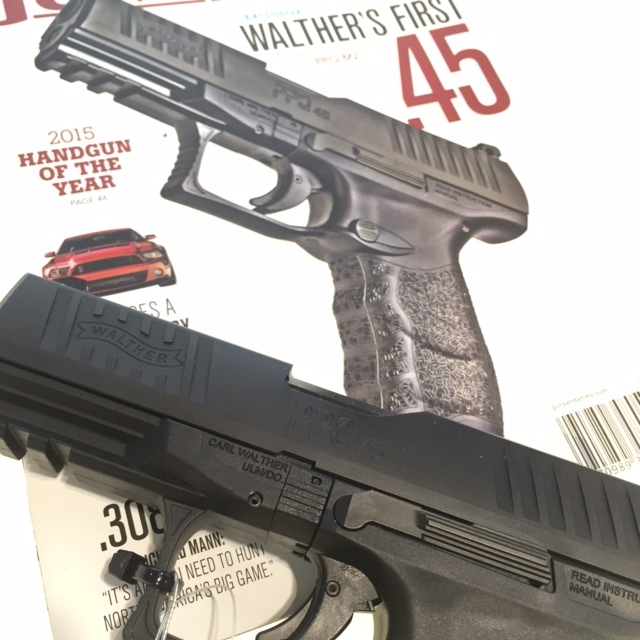 I was drooling just thinking about the prospect of a Walther PPQ chambered in .45, so I was ecstatic to have the opportunity to shoot the new PPQ45, which is the company’s first .45 pistol ever. I have to say that they did this thing right. The stock trigger, even as a big VP9 fan, is without a doubt the best striker trigger I have experienced. 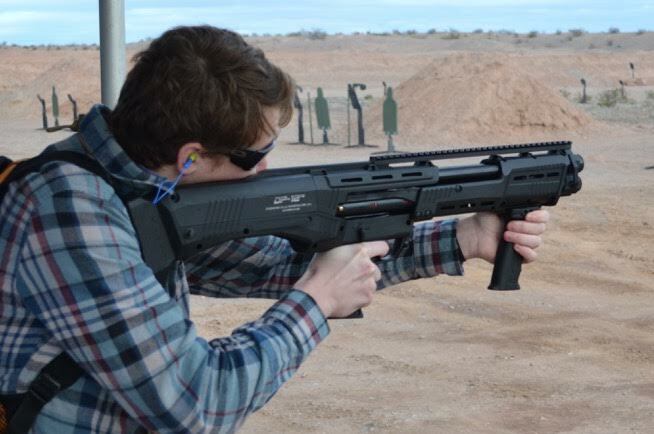 The PPQ45 handled recoil very well, and this is another gun that will be very high on the “more trigger time” list as soon as I have the opportunity to review one. Glock released two new optics-ready “MOS” versions of the 17 and the 19. 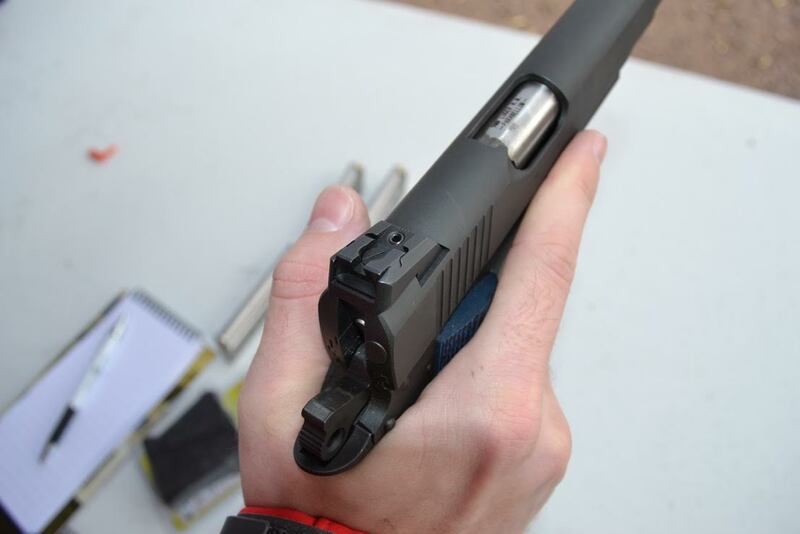 Certainly, for people who want to RMR a Glock, these two configurations will be welcome. Like the rest of the MOS series, the 17 and the 19 will retail for only about $70 more than a standard model, but will save the consumer a lot more than that in machining and refinishing costs. The MOS series guns also include adapter plates for everything from an RMR to a Deltapoint or any other mainstream micro-optic footprint. 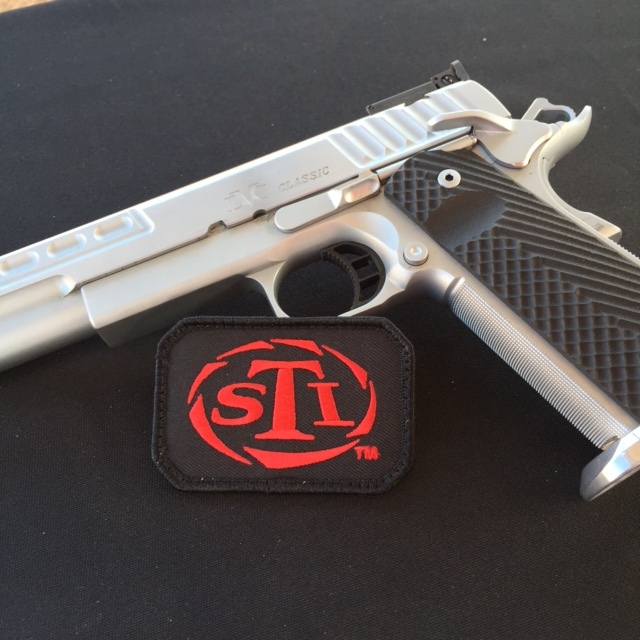 Springfield revealed three new guns that we thought we should mention: the RO Operator, the RO Stainless, and the EMP4. 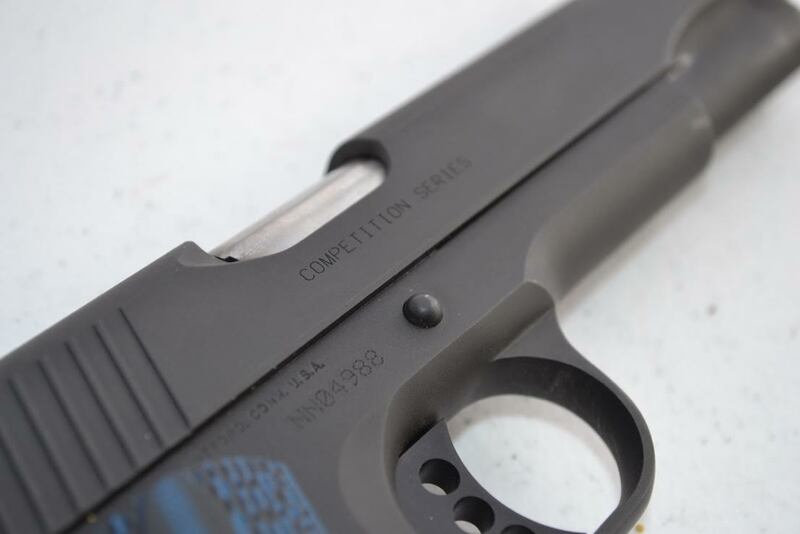 New entries in the Range Officer series are always welcome, as it’s proven to be a high-value, low-cost option for anyone who wants to shoot a 1911 in competition without spending $1000 or more (sometimes WAY more). 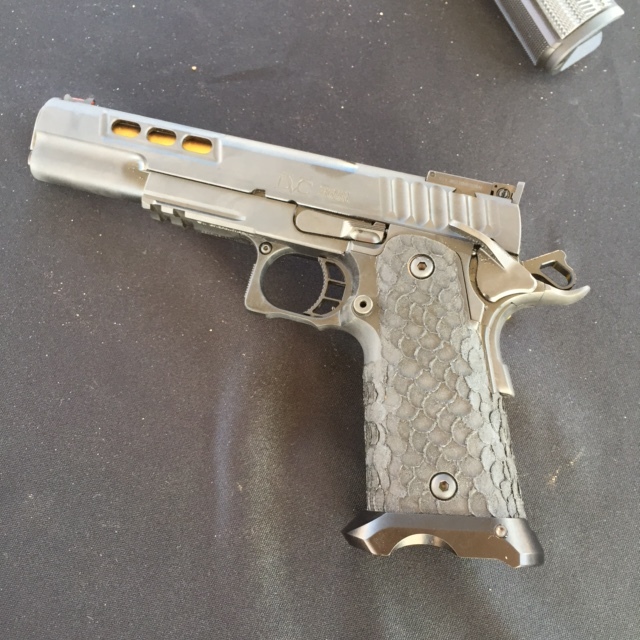 The stainless one really looked nice out in the range day sun, and a railed RO is also a great addition in my opinion. But for a lot of people, the EMP4 is going to be the more exciting product. With a 10+1 capacity in 9mm, the EMP4 brings the EMP series up to speed with any full-sized 9mm 1911 in a more compact package. 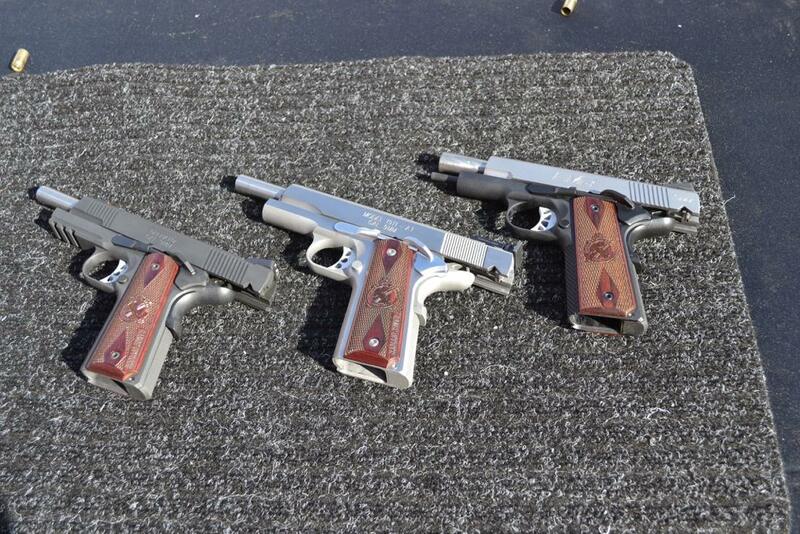 All three guns ran well for us on the range. 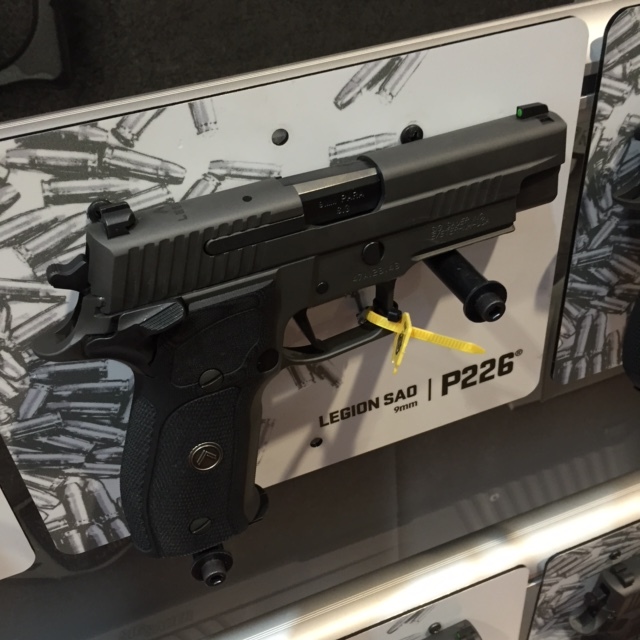 Sig Sauer brought their new Legion-series guns to the show floor and I accidentally drooled on the P226 SAO. More on these things in tomorrow’s recap. This was the first time I had seen them in person and I was actually pretty impressed with the configurations they’re offering. 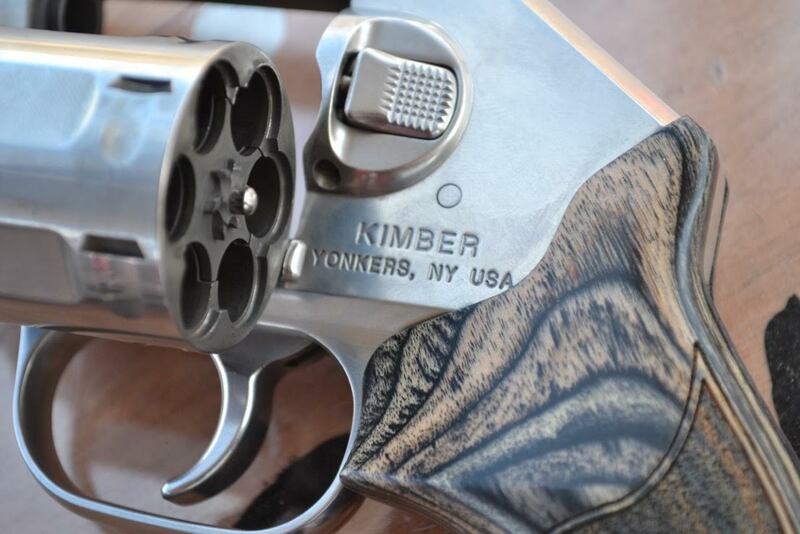 Kimber finally unveiled what their “ReEvolve” marketing campaign was all about with the new K6s revolver, which is a stainless steel 6-shot .357 magnum snubbie. 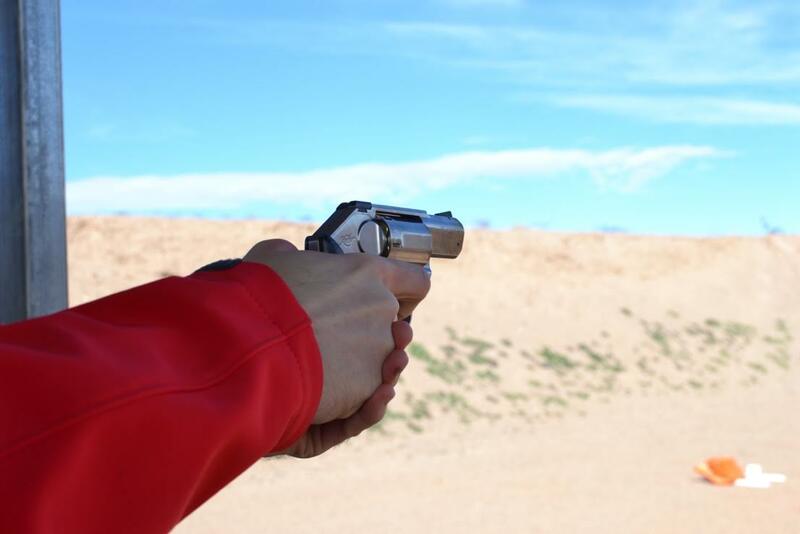 Featuring a 2″ barrel, the 23 oz weight tamed the recoil of the .357 loads we were shooting on the range, but there is nothing novel about it from a product standpoint. Some people will like it and some won’t, but either way it doesn’t really do anything new or different. It felt like a nice revolver, but didn’t really call my name. 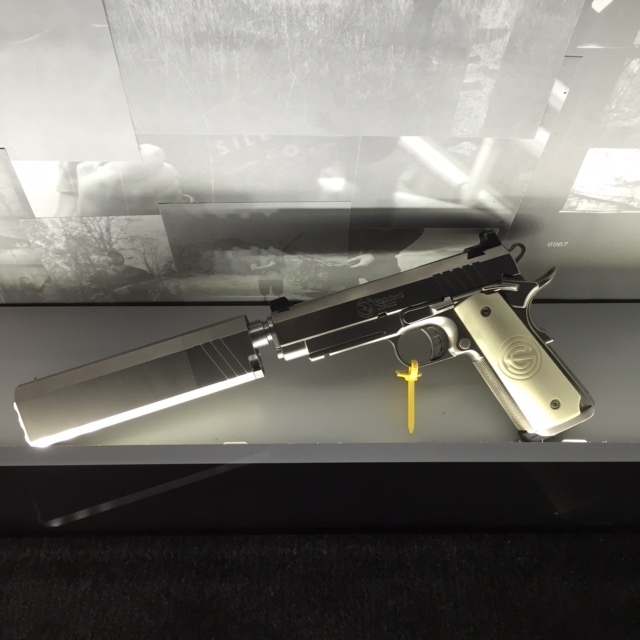 I was really looking forward to checking out the new cans from SilencerCo—the Omega 9 and the Hybrid. If I could only pick one of the two, it would probably be the Hybrid. 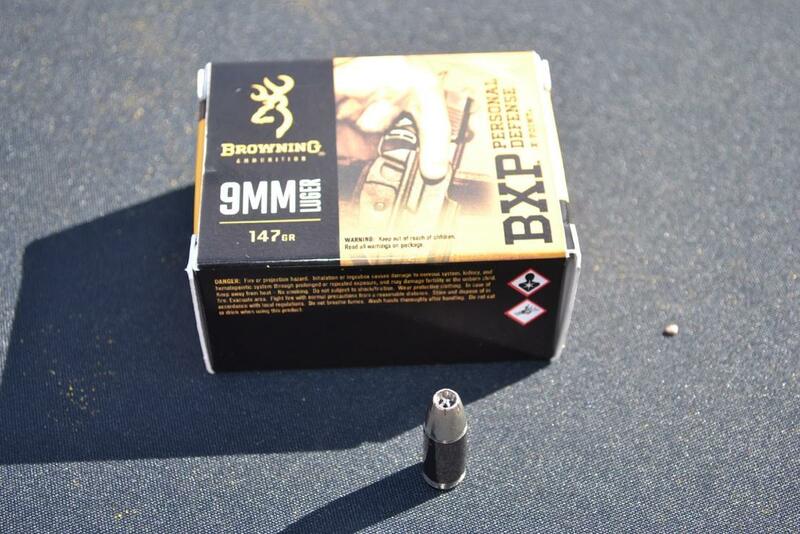 For an MSRP of only $999, it offers the ability to suppress anything from 9mm up to .45-70 Government. 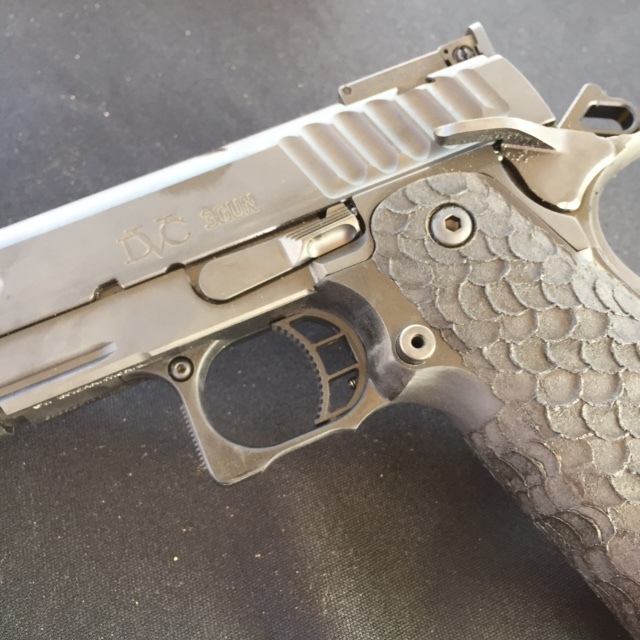 The trade off, of course, is that if you’re going to suppress mostly pistol calibers, it is longer and heavier than most comparable options that are only designed to handle up to .45 ACP. But at 7.8″ and roughly 14 ounces, it still isn’t “huge” or unwieldy by any stretch of the imagination. 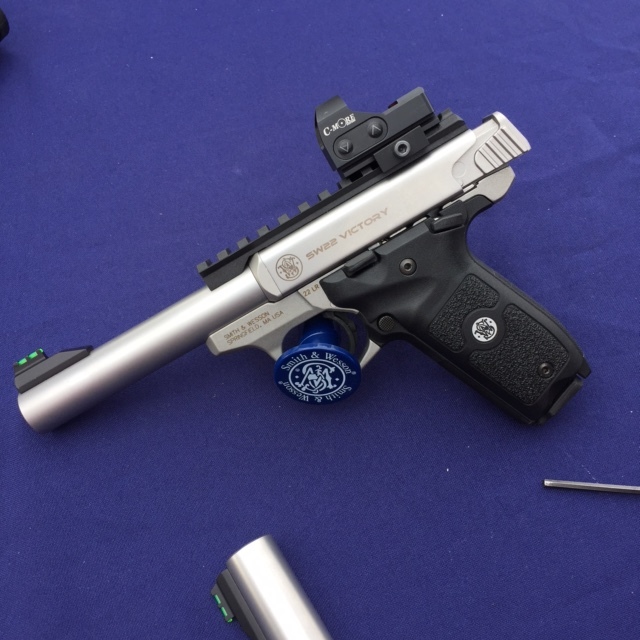 The Hybrid will use a combination of pistons like the Osprey series do for handgun calibers and direct-thread mounts like the Omega series for mounting the can on rifles. 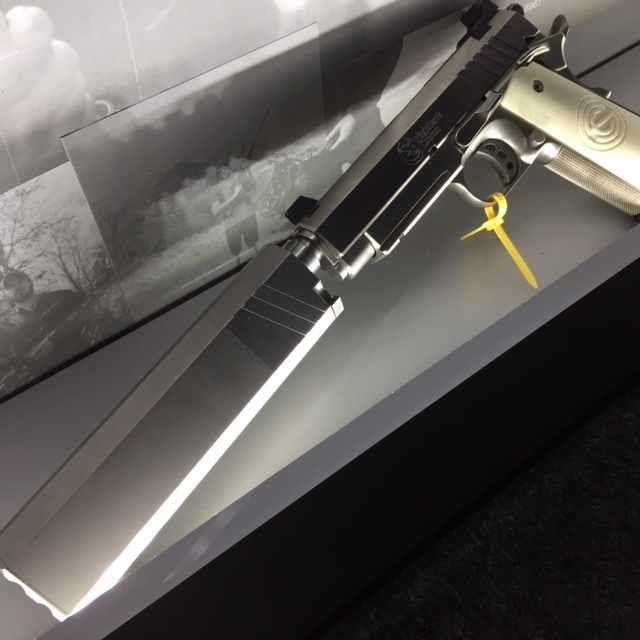 The integrally-suppressed Maxim pistol was also really interesting to see, but since it isn’t going to be shipping until later in the year I just included a photo of it at the bottom of the article. 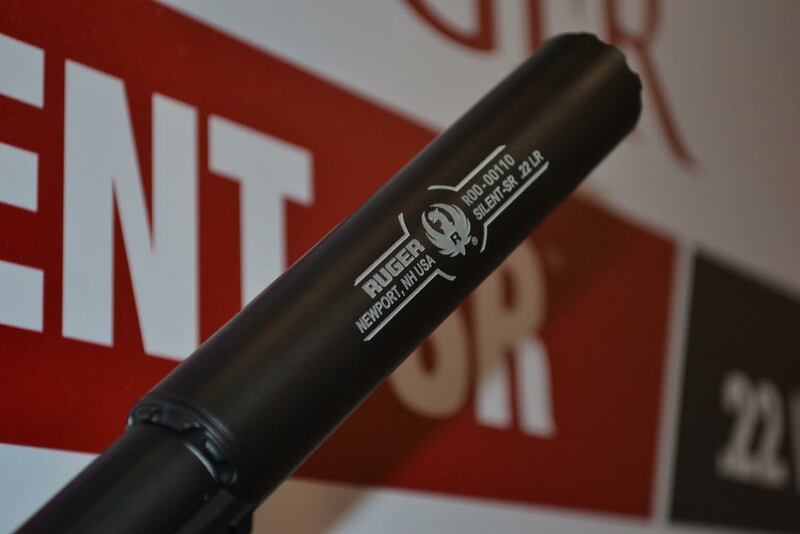 I was also happy to see Ruger breaking into the rimfire silencer/suppressor market this year with the Silent-SR (pronounced “silencer” . 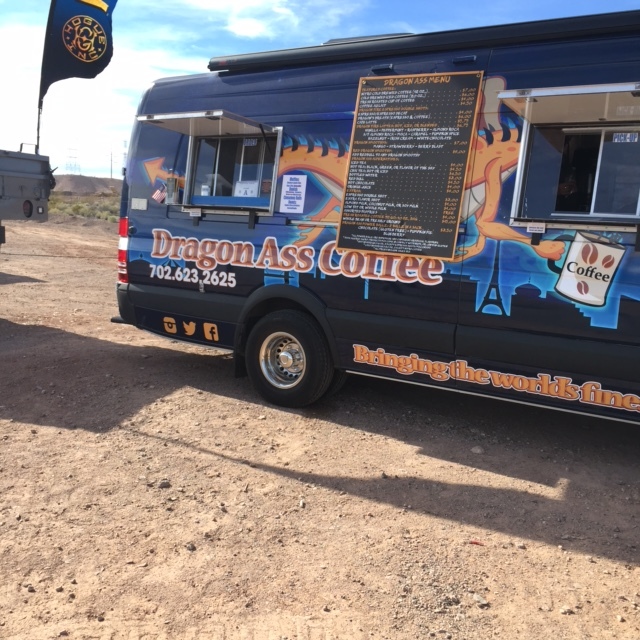 . . which I didn’t see at first). 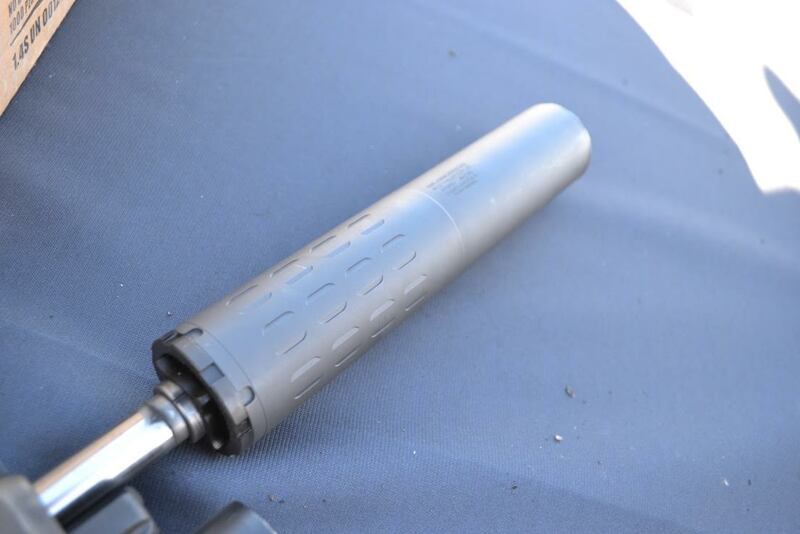 For one thing, more companies pushing suppressors means a more cohesive industry voice and more focused lobbying efforts. Secondly, competition is a good thing, so I’m looking forward to seeing what else they break out in this market. The can itself looks to be really well-made, so hopefully we’ll have the chance to test one later this year. 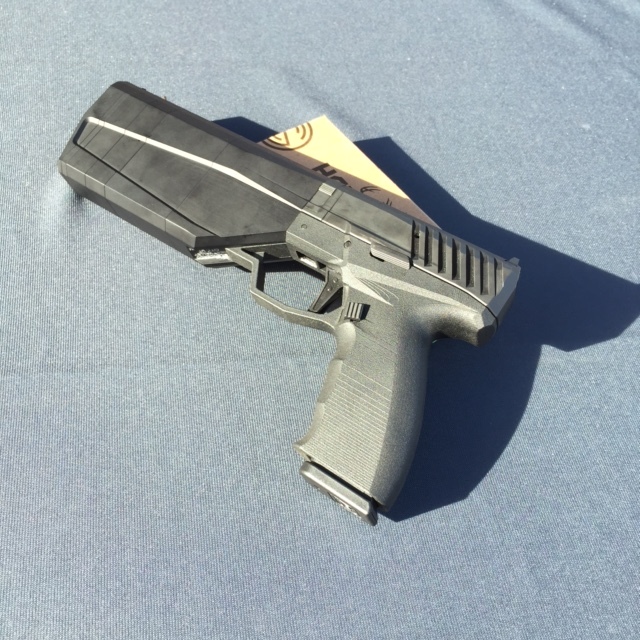 As far as the new American pistol goes, it certainly wasn’t bad, but there are just so many polymer guns out already that picking up a new one and buying mags/holsters/etc. for it turns into an expensive proposition. I’ll stick to Glocks, the VP9, and the PPQ series until I see how this one does. 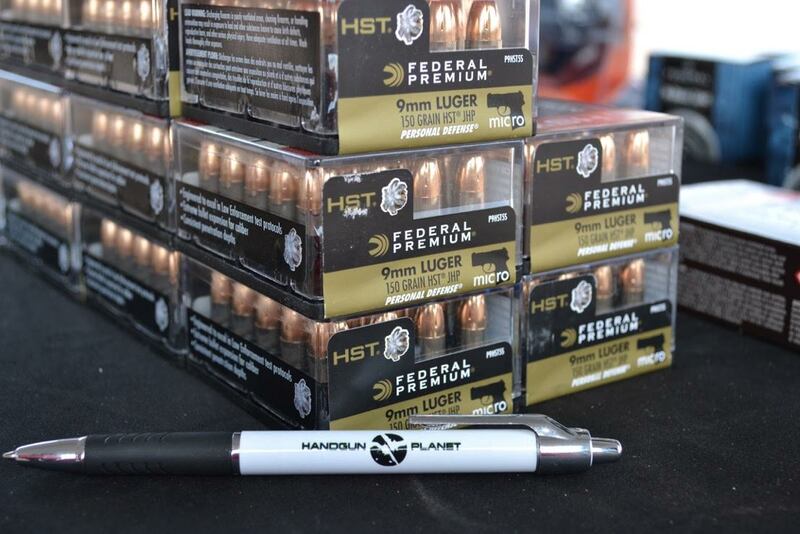 On the ammo front, a new load in the Federal HST series called HST Micro won most of my attention at the range. This load is a 150 grain HST bullet designed for shooting out of subcompact carry guns like the Glock 43, the S&W Shield, and the Springfield XDs. For obvious reasons, I am very excited to see something like this because most of the time I carry the Glock 43 and I have seen some great projectiles fail to expand out of really short barrels. So kudos to Federal for continuing to expand the HST line. Hopefully we have the chance to do some things with this ammo later in the Spring. Great write up and very interesting Looking forward to hearing more and other back stories.